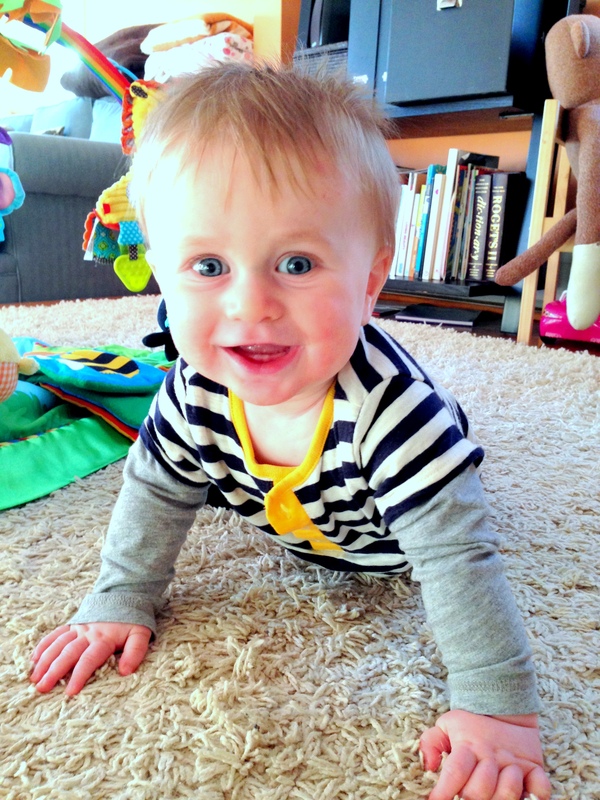 I can’t even…he is just the cutest boy EVER. 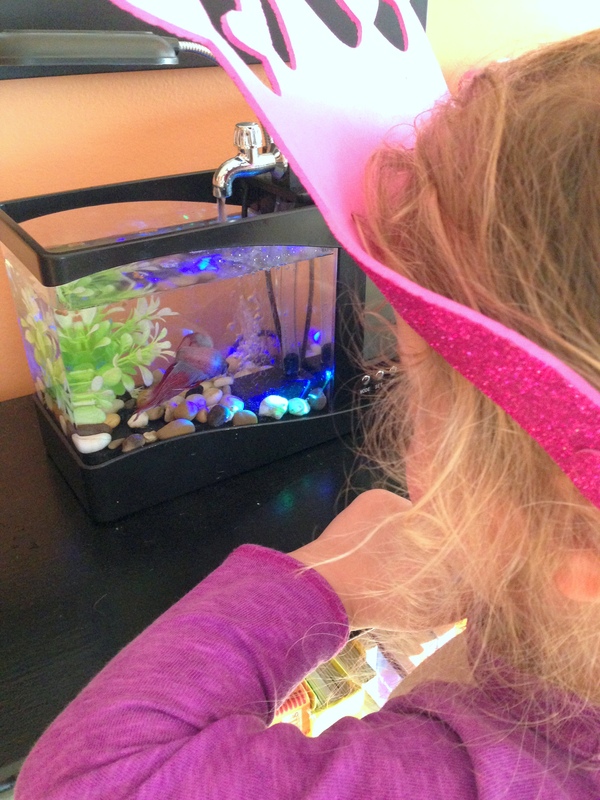 We have a new member to our family – Roger the fish! Z is in love. 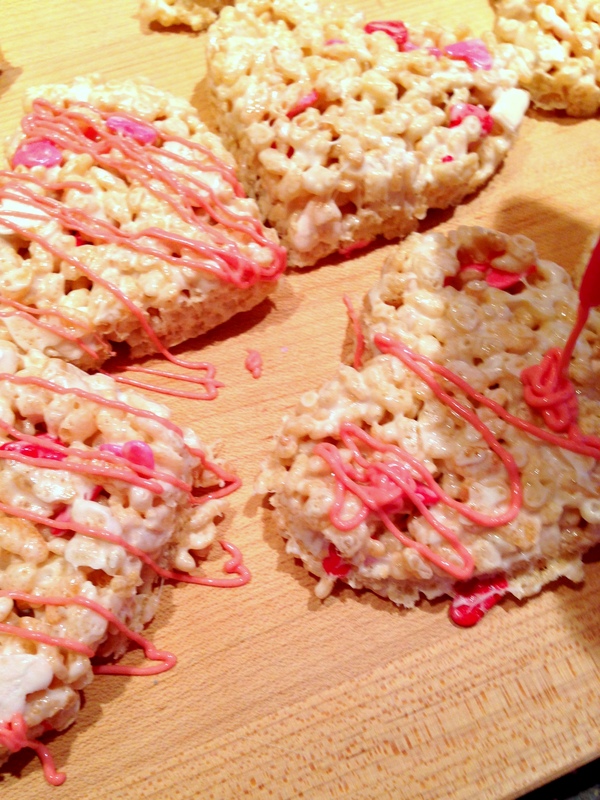 I stole an idea from my very own blog (Easter Bunny Rice Krispie Treats) and made the most adorable Valentine’s Day Rice Krispie treats while we were stuck inside during the blizzard earlier this week. 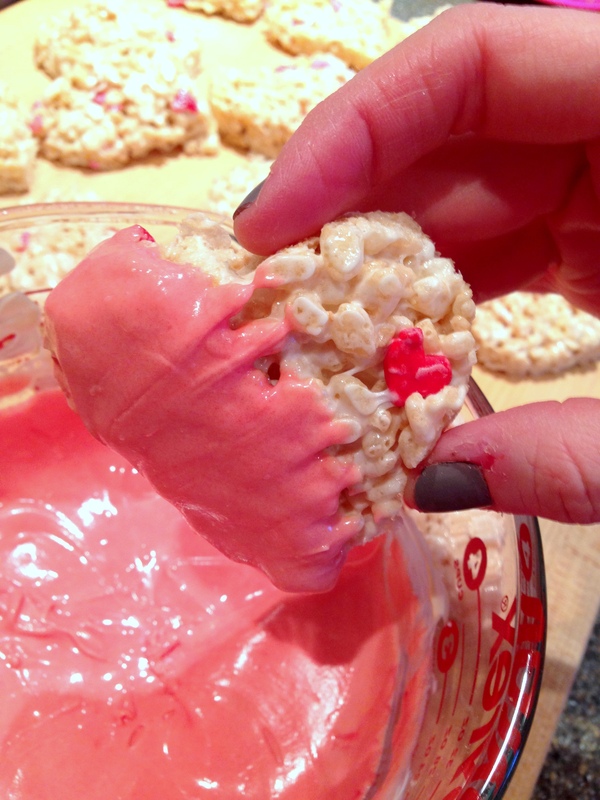 It’s so fun to make rice krispie treats anyway but even better when cut with cookie cutters and mixed with sprinkles for whatever holiday is coming up. 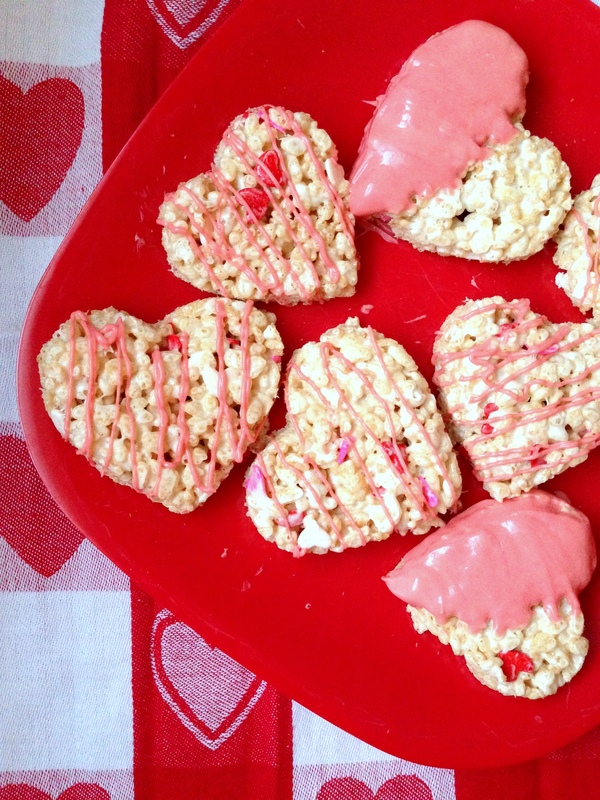 For Valentine’s Day we obviously used heart cookie cutters and pink and red sprinkles. I thought it would be even more fun to dye some white chocolate pink and add a little drizzle for added pop of color. 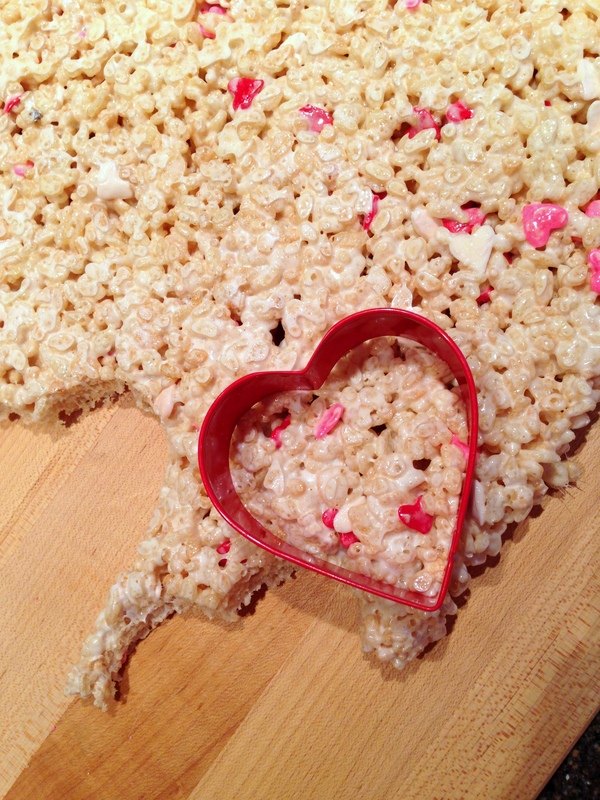 Once you’ve made and cooled your rice krispie treats, turn them out onto a cutting board and use a heart cookie cutter to cut into heart shapes. …or even dunk half in the chocolate – why not? 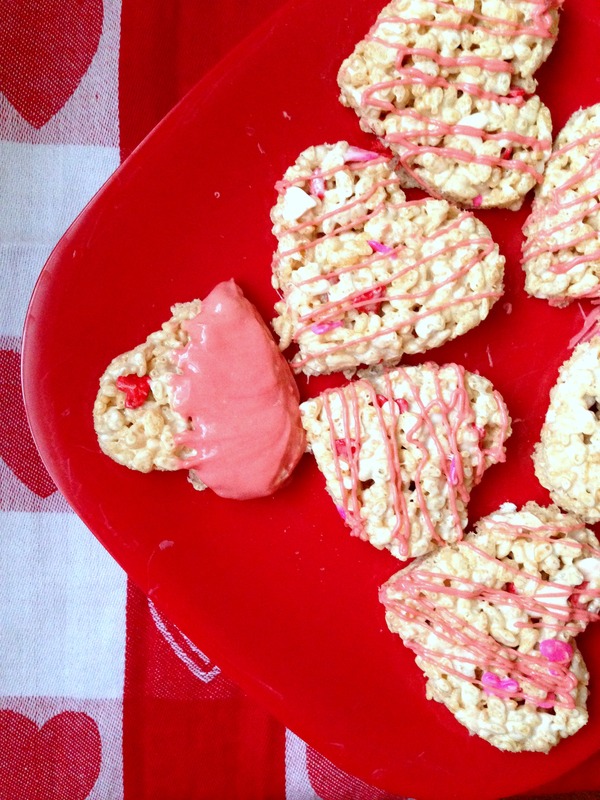 These are so cute, festive – the perfect for Valentine’s Day treat! 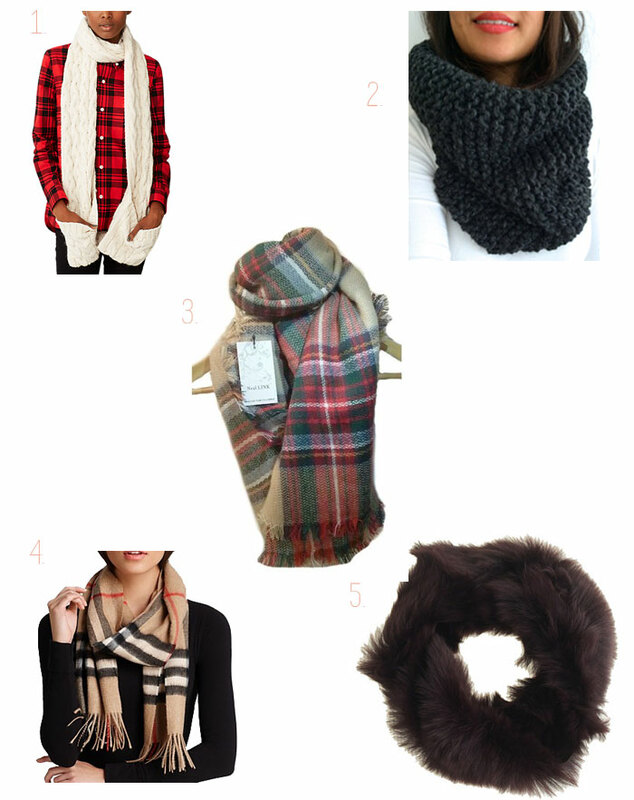 Last week I started a cold weather must haves series and shared with you all my favorite scarves. 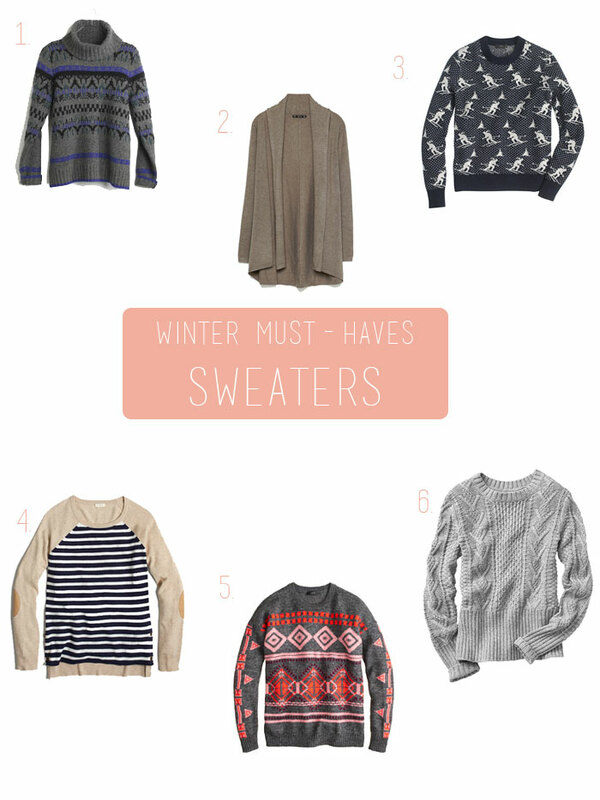 This week I wanted to share the best sweaters for cold weather. 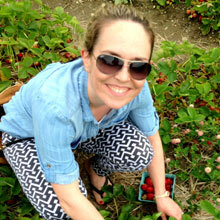 We all want to stay warm without feeling and looking super frumpy – which is tricky to do! You of course have to shop for your body type. I have narrow shoulders so turtlenecks are good for me. If you have a larger bust a nice v-neck would be great. Cardigans are good for all and even better for layering! 1. I recently got this iceblock turtleneck sweater when Madewell sale items were an extra 40% off and I LOVE it. The colors are great, it lands at just the right spot under your hips, and it’s boxy without being shapeless. 2. These long drapey cardigans aren’t always the most flattering but they sure are cozy. Try one made of a thinner material like the draped cardigan from Zara so it’s not quite as bulky. 3. The perfect apres ski sweater from J. Crew. Adorable, right? I’d wear with bright color jeans and boots. 4. Stripes and elbow patches! Nothing to not love about this sweater from J. Crew Factory. 5. I love bold colors and what better way to wear them in winter than this abstract fair isle sweater from J. Crew. 6. Cable knit is the most class sweater and I love the shape of this one from GAP. Ps. All of these sweaters are on sale (and some with an extra percent off!). What sweaters are you wearing this winter? 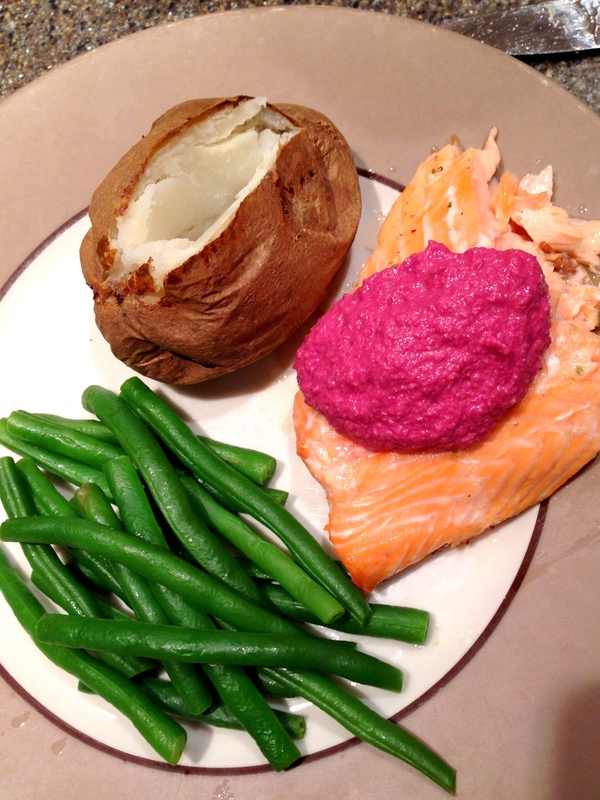 We are always look for interesting recipes to try and recently we found one recently that was totally awesome – beet pesto. You may think that word combination is actually an oxymoron, but let me tell you that this recipe was so interesting and delicious. Just like any pesto, the beets (almost the replacement for the basil in a traditional pesto) were blended with nuts (walnuts instead of pine nuts), oil, and cheese. What was most interesting was the use of beet juice in place of much of the oil so it wasn’t so heavy and oily – I think that’s part of what I liked it so much. I included the beet pesto recipe below because I can’t find the recipe online to link to. 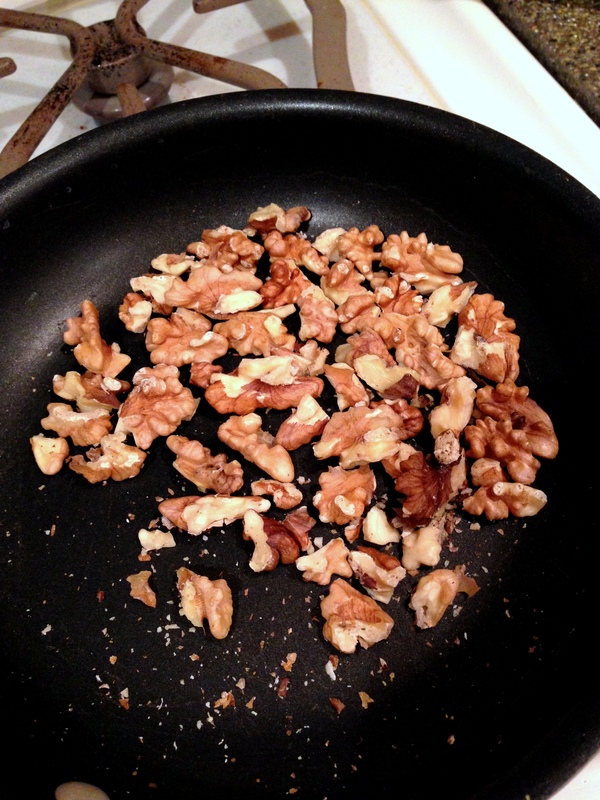 Toast your walnuts in a non-stick pan. 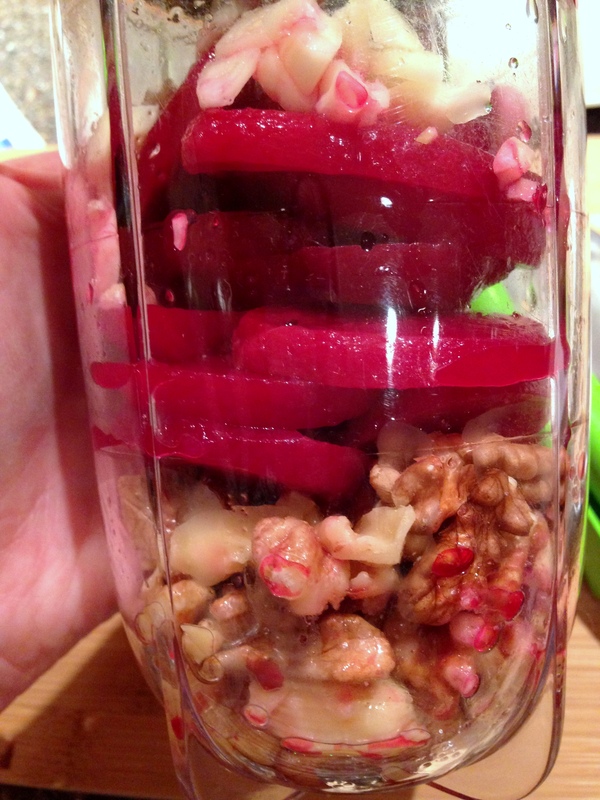 Blend walnuts with next 4 ingredients and mix in beet juice until desired consistency is reached. I used our Magic Bullet and it worked fine. 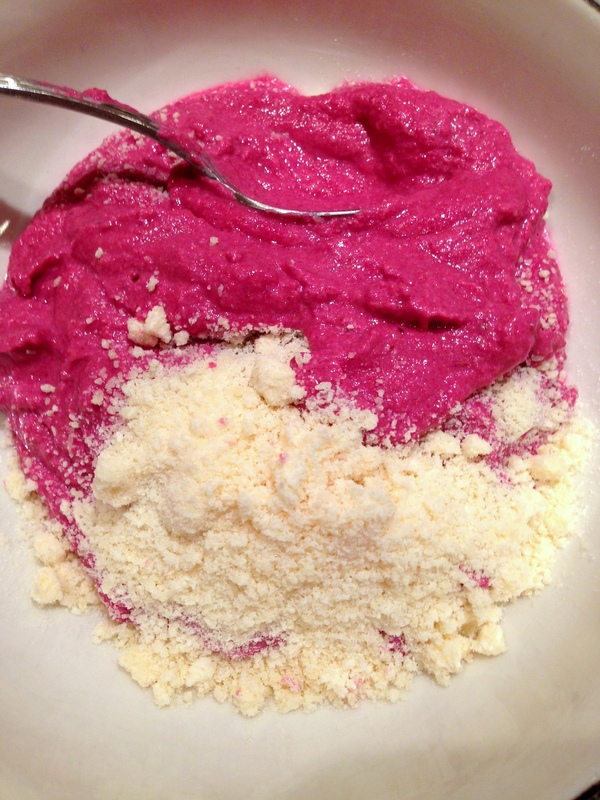 Mix blended beet mixture with cheese. 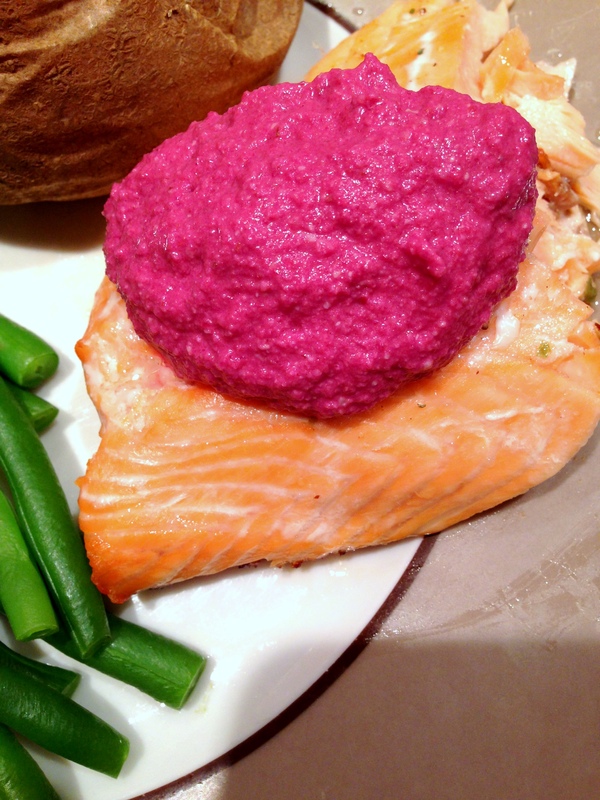 As directed on the original recipe we served the beet pesto over salmon. So good, so interesting! Enjoy! Ps. Galic scape pesto is good, too! 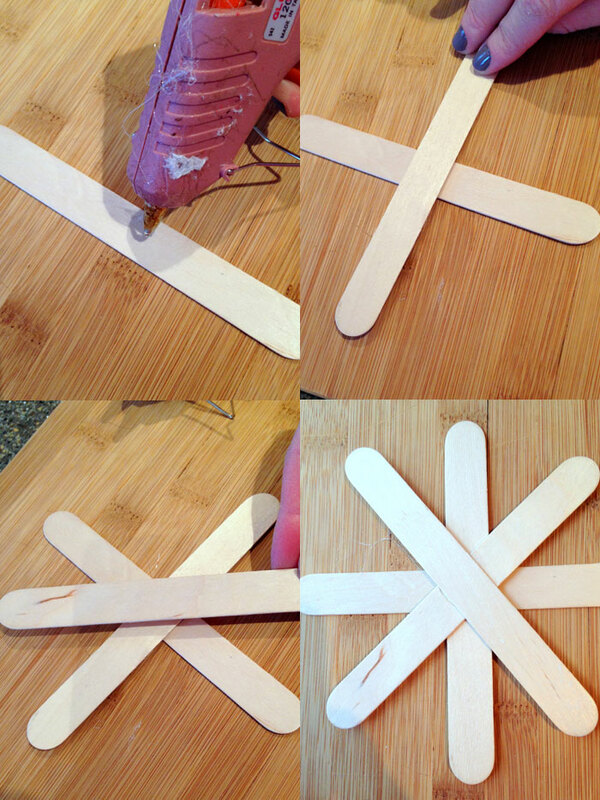 To make the snowflakes you need 4 Popsicle sticks. 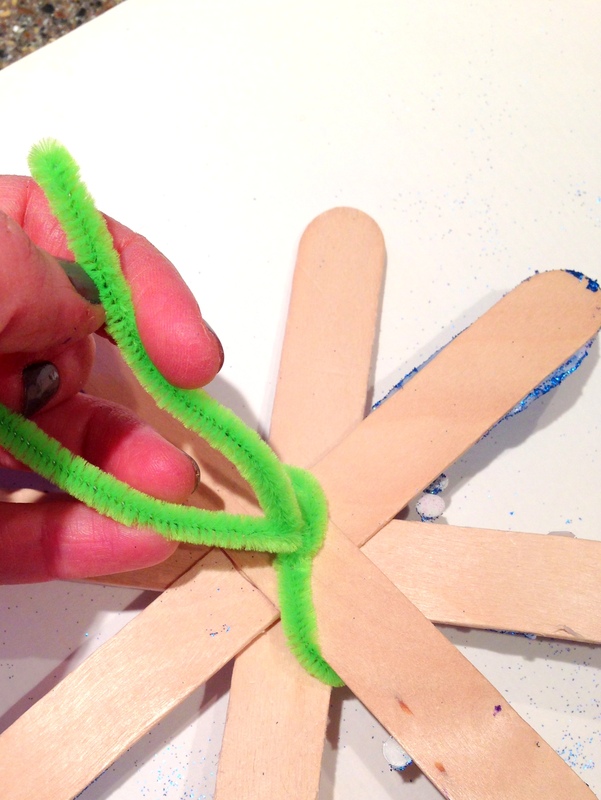 Use a glue gun to glue one on top of another until your snowflake is made. 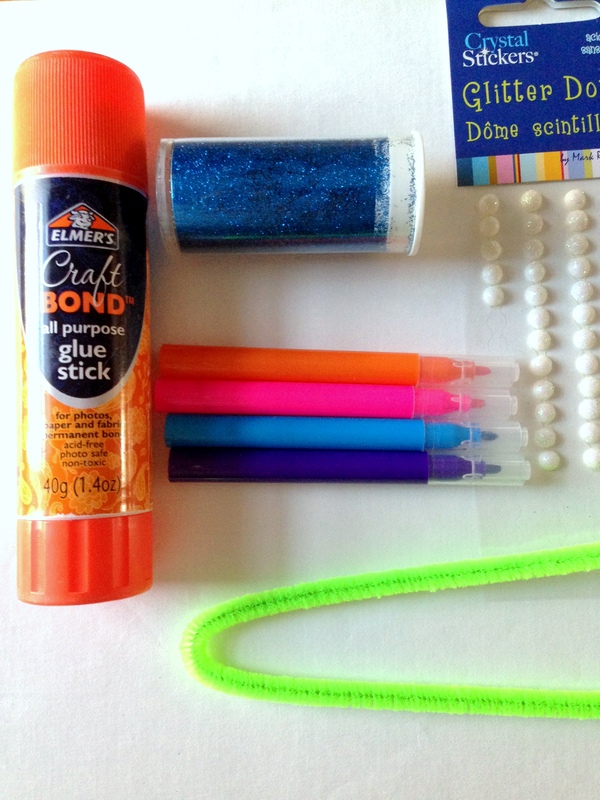 Then let your toddler at it with glue stick, glitter, stickers, paint, markers, whatever you have around the house. 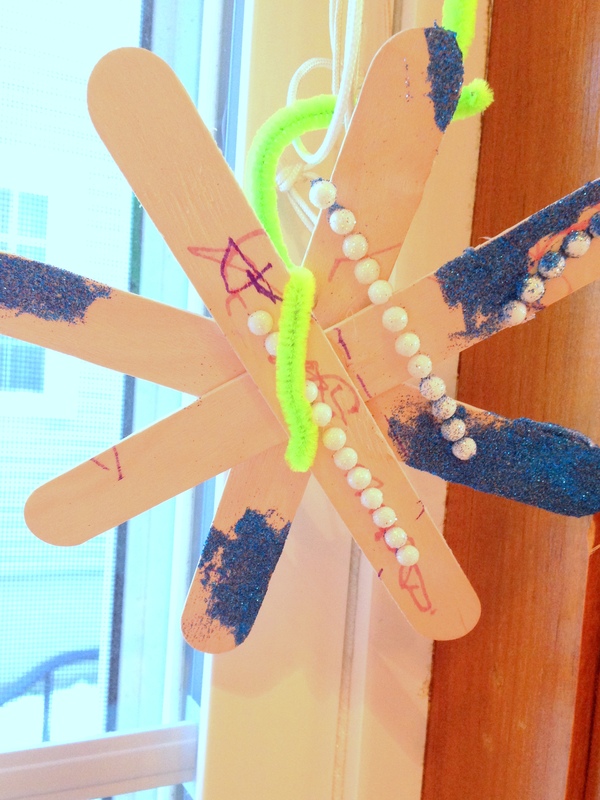 Last step, use some string, yarn, (which would look best) or even a pipe cleaner (as Z wanted to use) to tie around the snowflake to proudly hang up in your home! 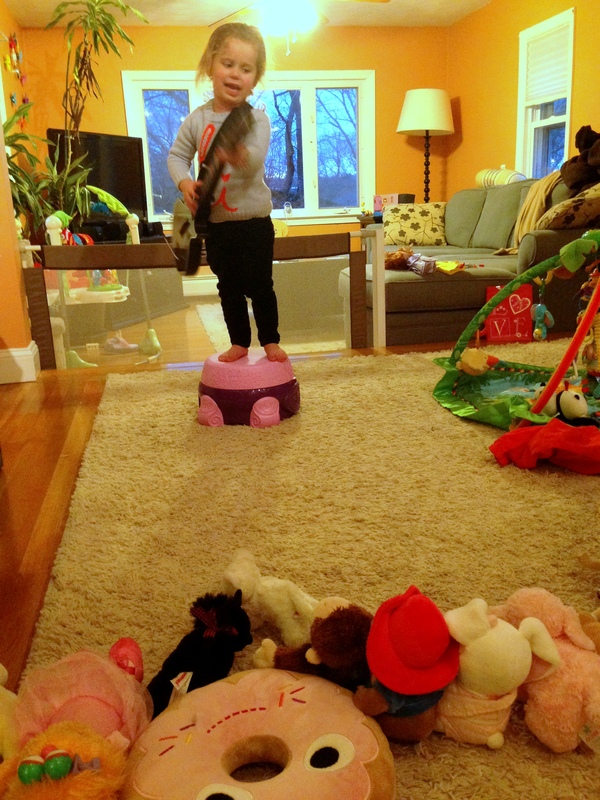 Always performing… This time she set up a stage (her princess potty that turns into a stool) and used her guitar (our old Guitar Hero guitar) and sang her little heart out. Not entirely pictured, I am sitting amongst chairs with all of her stuffed animals sitting on them so she can have an audience. 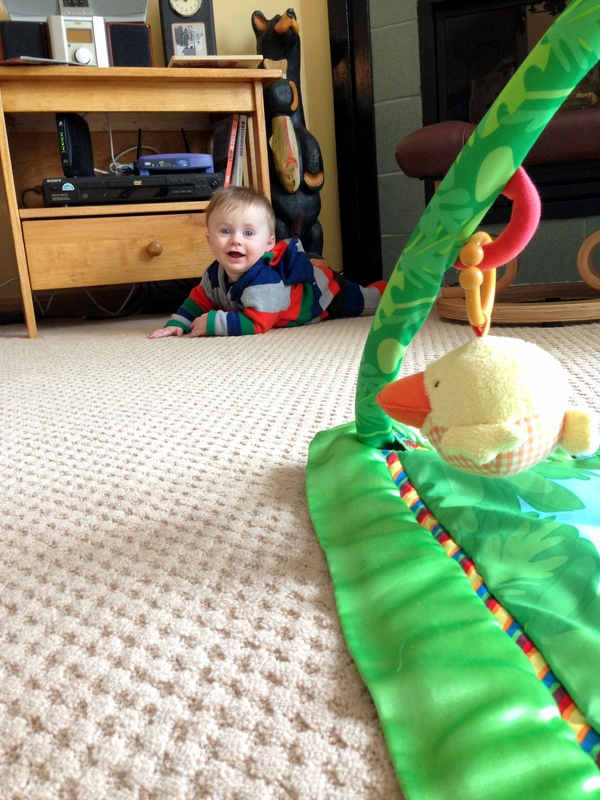 Always rolling… He went from his jungle mat to that table in 2 seconds flat! 1. This kate spade Saturday Cableknit Pocket Scarf is genius! You don’t necessarily need gloves, you can just use the little pockets at the bottom of the scarf. 2. A chunky scarf. I love the scarves made by etsy seller LuluLoves. 3. Blanket scarves are all the rage this winter – they’re perfect for travel too when you start off needing a scarf and can convert to a blanket to get even cozier. I like this plaid one from Amazon of all places. There are a million way to wear these, just search on Pinterest. 4. Nothing better than the classic Burberry scarf. I’ve had mine for years and still wear it all the time. 5. Nothing says cozy more than fur. This Toscana shearling infinity scarf from J. Crew could be worn with everything all winter. What are your favorite scarves?